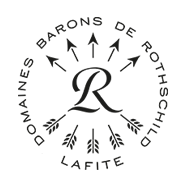 Produced by Domaines Barons de Rothschild (Lafite), Légende Saint-Emilion is an harmonious blend of Merlot and Cabernet Franc. With its fruity, toasty bouquet, this elegant wine is round and well balanced on the palate : a fine illustration of this prestigious appellation. The 2015 vintage was characterised by a rather late bud burst, a quick and uniform flowering which took place under very favourable conditions (low rainfall and above-average temperatures). July was very hot (with a near-heatwave between 30 June and 6 July) and dry (20 mm of rain, like in 2010). August, however, was quite wet (90 mm on average) compared with the past fifteen years. Véraison (end July/beginning August) was quick and uniform. At a Bordeaux level, 2015 is a very good vintage, though marked by a certain lack of uniformity due to the patchy rainfall in August and September. Colour: Ruby of medium intensity. Nose: Intense and complex nose, with aromas of wax, exotic woods, cocoa powder. Palate: Balanced and flattering, medium structure with fine and elegant tannins, and long aromatic persistence. The summer of 2014 was rather gloomy, characterized by a lack of sunshine and low temperatures, but then beautiful weather arrived in the entire region in early September and remained for several weeks (until the end of October), saving the vintage. The Indian summer gave the vines optimal ripening conditions, and the grapes reached a balance between sugar, acidity and phenols worthy of a great vintage. The Cabernet Sauvignon and Cabernet Franc benefited from the superb late season and offered excellent quality in 2014. Nose: Refined and aromatic, the nose combines aromas of leather and sweet spices with woody notes (vanilla). Palate: Rounded, full-bodied attack; this is a supple wine with plump, soft tannins, and a pleasantly fresh finish. The 2013 vintage in Saint Emilion was characterized by difficult weather conditions. A wet spring resulted in flower abortion and uneven grape size, two hail storms, on 26 July and 2 August, caused varying amounts of damage, the grapes began to ripen relatively late, from 10 August, and there were alternating spells of rain and fine weather until the harvests. It was one of the most difficult vintages of the last 30 years, with an average decrease in yields of the order of 30%, making them the worst since the frost of 1991! Meticulous work in the vineyard and very strict selections in the winery enabled some pleasant surprises and successes: the 2013 Saint Emilions are supple, with a gentle, crisp structure. Colour : Medium intensity ruby. Nose : Lovely, expressive, seductive nose, dominated by notes of red fruit (blackcurrants, raspberries) and subtle toasted notes. Palate : direct, fruity attack, the tannins are supple, and the finish is fresh and very aromatic (fresh fruit). A soft, accessible wine for easy-drinking.